Learn about the upcoming events below, then visit the Virtual Box Office to purchase your tickets! Bring your group to Murder at Mount Hope, an interactive, culinary Who-Done-It, for a unique and exciting group outing! Dine in the historic Mount Hope Mansion while you put together the clues and help solve the mystery! The Full Moon Comedy Nights will keep you laughting through the dark and cold winter months. 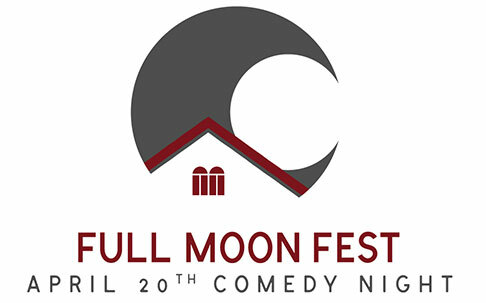 Instead of howling at the full moon, grab your friends, share a chuckle and be reminded why laughter is the best medicine! Featuring: Chris Coccia, Jesse Blanco, and Jennifer Espenshade and Hosted by Wild Bill. Join us for the 27th Annual Volksfest, on the grounds of Mount Hope Estate! Check out the best of air and water cooled Volkswagens and enjoy delicious food from the Pennsylvania Renaissance Faire Kitchens and fresh Swashbuckler Ales at this large VW swap meet! Join us for the 11th annual BrewFest at Mount Hope on the Grounds of Mount Hope Estate & Winery. Fill your sampling glass with beers from a variety of different breweries from across the country, while enjoying live music, various merchants, and complimentary food! Don't miss out on PA's premier craft brew festival! Please Note: Private tables are not guaranteed for groups under six. Cancelations for full refunds by 4PM, May 3rd. Reservations must be made by 4PM, May 10. The 12th Annual FlavorFest at Mount Hope takes place Memorial Day Weekend and provides a unique showcase of Pennsylvania's diverse culinatry and wine offerings, and the finest in PA artisan crafts and is sure to be a weekend of fun and delicious entertainment for the whole family! Learn more about this unique festival below. 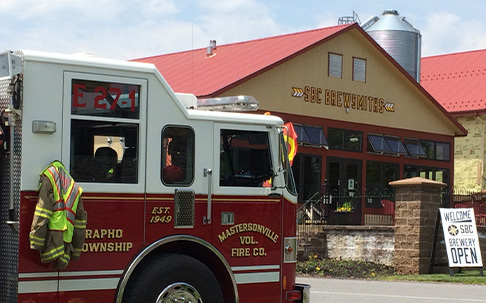 Enjoy free admission, delicious food, fun and a brand new beer from Swashbuckler Brewing Company to benefit the Mastersonville Volunteer Fire Company! Meet Captain Rude the Pirate, play a variety of kid's games and activities, enjoy live music, learn about fire prevention and education, take a look inside a fire apparatus, and more! Raffles and door prizes will also be available. The Celtic Fling & Highland Games, is an unbridled celebration of Celtic Culture, saluting both traditional and contemporary Celtic heritage. Delight your senses with the sights, sounds, smells and tastes of this rollicking Celtic celebration. Enjoy traditional pipe bands, modern Celtic rock bands, and everything in between, plus delicious Celtic cuisine, fresh brewed wines, ales and ciders, and more! Enjoy the taste of Maryland with an all-you-can-eat menu featuring crabs, brisket and more at Mount Hope's annual Blues and Brews! This summer staple welcomes guests to enjoy fresh seafood and other favorites while live music fills the outdoor feasting glen. Live the excitement and adventure of jousting knights and royal delights with hundreds of colorfully-costumed villagers inhabiting a thirty-five acre recreation of a 16th century English Shire. Musical, stunt and theatrical performances, magic acts, and comical mud beggars are just a few of the 90 shows daily. Enjoy period foods from over 20 Royal Kitchens, Swashbuckler beers, Mount Hope wines, Lancaster County ciders and shopping with scores of Renaissance merchants. Enjoy complimentary admission to the decorated Victorian Mansion's Holiday splendor, samplings of hand-crafted wines, beers and ciders, shop with unique merchants, and visit with Father Christmas to celebrate the start of the long awaited Holiday season. Experience the magic of the holidays from days gone by. 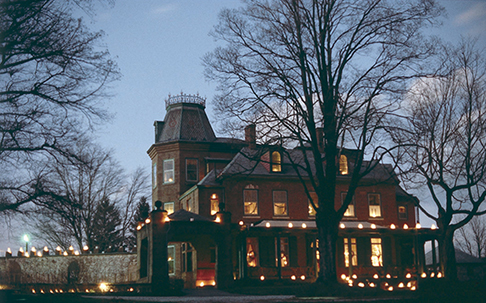 Enjoy an interactive dinner experience in our historic Mount Hope Mansion, dressed in her holiday finery! Sing along to traditional songs, interact with our cast of characters, and be entertained with festive stories and performances. Mount Hope Estate & Winery, the Historic Mount Hope Mansion and the Fairegrounds of the Pennsylvania Renaissance Faire are located in Northern Lancaster County, just off exit 266 of the PA Turnpike, 14 miles East of Hershey and 15 miles North of Lancaster. The street address for the grounds are 2775 Lebanon Road Manheim, PA 17545. Mount Hope Estate & Winery is always looking for enthusiastic, hard-working people to work in all facets of Mount Hope Estate & Winery's year-round season! Many varied and challenging employment opportunities are available full-time, part-time and seasonally, whether it be the Renaissance Faire, Mount Hope Wine & Gift Shops or our Spring and Mansion Events and more! Come join the magic! If you are interested, please read more about the available positions below, then fill out the Online Employment Application. 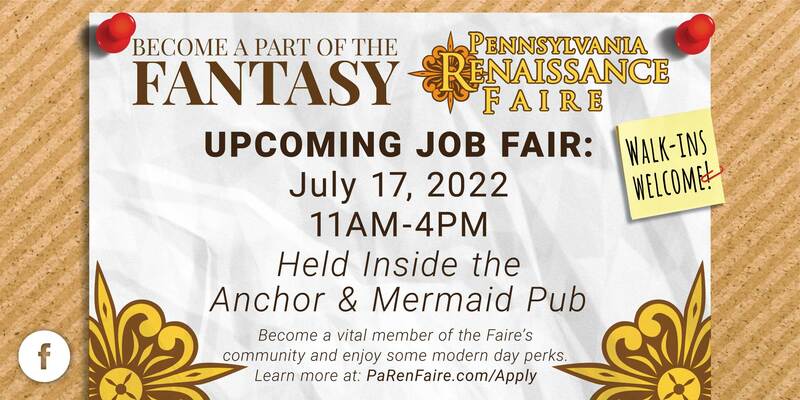 You can also download the Printable Employment Application and return it via email (PRFRecruiter@PaRenFaire.com), fax (717-664-3466) or mail: Pennsylvania Renaissance Faire Attn: Employment • 2775 Lebanon Road Manheim, PA 17545. This is a costumed position. Ticket Sales Agents provide friendly and quality service to our patrons while executing sales of daily tickets and season passes. Agents handle all cash register duties and handle customer questions and minor complaints with understanding and sympathy. Agents should have excellent math skills and money handling experience is preferred. The working conditions for this position include (but are not limited to) sitting for long periods of time, lifting 20lbs or more, maintaining a professional attitude even during times of high stress. This is not a costumed position. Front Gate Security provide friendly and quality customer service to our patrons by answering questions, offering assistance for lost parents or children while maintaining a positive, professional image. Security duties include checking costume weapons to make sure they're "peace-tied" and checking IDs for age for alcohol purchases inside the park. Security personnel is expected to be assertive in their duties. Soda pourers are responsible for assisting the food booth cashier by providing purchased refreshments in a timely and efficient manner with friendly and quality customer service. Pourers should have the knowledge of our drink items and prices as well as the ability to use and maintain soda and slush machines. Cart Hawkers interact creatively with customers using language from the Renaissance era while pushing a supply cart to various locations throughout the park. A perfect job for a hard-working, outspoken individual with good organization skills! Our cashiers take pride in their ability to accurately and efficiently take orders and follow proper ordering procedures when communicating with the cooks. Cashiers provide friendly and quality customer service in aiding patrons with locating food items based on a strong knowledge of items and prices. This fast-paced environment requires attentiveness, organization and strong, quality customer service. Bartenders are expected to aid patrons with extensive knowledge of prices and information on all beers and wines while taking and presenting orders with speed and accuracy. Prior bar experience a plus, but not required. Applicants will be required to successfully complete RAMP alcohol service class. Cart Runners are responsible for bagging, storing and transporting ice, cases of drinks, boxes of supplies and catering equipment to various locations throughout the park. Runners will also learn how to restock and change CO2 on our soda systems. This position requires pushing carts up and down hills and applicants will need to be in good physical condition. Cooks are responsible for preparing food in a timely manner while following company standards for recipe preparation, presentation and quality. This position requires the mantainance of sanitation and cleanliness of all food service areas and equipment to adhere to all sanitation and saftey standards. Aid patrons in locating merchandise with knowledge of prices and display arrangement while handling cash register duties and answering patrons' questions. Ability to provide friendly and quality customer service and organization are the keys to becoming a successful Retail Assistant. Wine Shop Stewards are expected to aid patrons with extensive knowledge of prices and information on all facets of the company, focusing especially on wines. Duties include handling cash register, assisting patrons with sampling and questions, stocking and cleaning the store. This fast-paced environment requires attentiveness, organization and strong, quality customer service. Oarhouse Provisions Stewards are expected to aid patrons with extensive knowledge of prices and information on all wines while taking and presenting orders with speed and accuracy. Prior bar experience a plus, but not required. Applicants will be required to successfully complete RAMP alcohol service class. APrivy attendants maintain clean and accessible restroom facilities while providing friendly and quality customer service. Duties include toilet maintenance, stocking supplies and keeping the restrooms clean and orderly for our valued patrons. Direct incoming and outgoing traffic while maintaining safe walkways for patrons entering and exiting the park. Parking attendants are required to stand for long periods of time and answer basic patron questions regarding the park. Our Grounds Maintenance crew work closely together with other departments to keep everything running smoothly. As the backbone to the company, maintenance requires raking, trash collection, light maintenance/repairs and delivering and restocking supplies throughout the grounds. Volunteers will be placed into the following categories: Maintenance/Parking, Food & Beverage, Front Gate, Hospitality/Production, and Feis. All volunteers receive two complimentary 2019 PA Renaissance Faire tickets, and one free food voucher to any PRF owned stand. All volunteers must be at least 21 years of age, and will be carded upon arrival. For each session, volunteers will need to report 1 hour before the festival begins, and may be asked to stay 30 minutes after the festival ends. Volunteers will not be permitted to drink alcohol before or during the session. Limited number of volunteers accepted. Physical requirements of volunteering include considerable standing and walking for up to 6 hours, lifting and carrying up to 15lbs, and navigating uneven terrain (hills, gravel, grass) Please be sure you can safely satisfy these requirements before volunteering. Please use the links above to register for volunteering at specific events. If you have any other questions that have not been answered below, please contact our business offices at 717-665-7021, Monday through Friday, 9AM-4PM or visit our formal comment, question and feedback page to submit an inquiry. Where is Mount Hope Estate located? What is the physical address? Mount Hope Estate, home of the PA Renaissance Faire, is located in Northern Lancaster County—15 miles north of Lancaster, PA and 13 miles east of Hershey. The street address is 2775 Lebanon Road, Manheim, PA 17545. When does your season begin and end? So many people think that Mount Hope Estate & Winery is solely the Pennsylvania Renaissance Faire running during the late summer and fall months only. Located 15 miles north of Lancaster, PA and 13 miles east of Hershey, we are so much more, indeed. Mount Hope Estate & Winery is an historic estate featuring spectacular indoor and outdoor entertainment on the grounds of the Pennsylvania Renaissance Faire running almost year round providing incredible entertainment just for you. Learn about the Upcoming Events above. Is your venue ADA accessible? Handicapped accessible parking is available. Upon your arrival, please make a request of the parking crew and they will direct you to it. Most of the walking paths of the fairegrounds are paved to ease travel in wheelchairs or scooters. However, the Faire site is 35+ acres and some stone or grass covered areas may need to be traveled to access some artisans or food booths. Handicapped accessible restrooms are available on the fairegrounds. Wheelchairs are not available to rent or loan. Please be aware that the nature of the fairegrounds presents various hills and inclines. Please plan accordingly. Can I take photos and video at the event? Taking photographs and video on the grounds of Mount Hope Estate & Winery and all our outdoor events is permitted provided the photographer understands that the photos and video are for personal use only. During Theater in the Mansion performances, photography and videos are only permitted to be taken during introductions and intermissions, not during the actual performance, as a courtesy to others. Events are rain or shine. For the safety of the performers, shows may be altered due to the weather. Ticket exchanges and refunds are not available. Once a ticket has been scanned at the Front Gate upon entry, it is voided and no longer holds any value. The Faire does not monitor any guests’ level of participation or length of stay. Refunds are not available to guests who choose to leave. In rare circumstances, when the safety of patrons and participants is at risk due to extreme weather activity, the decision may be made to close the park until the threat has passed, or for the remainder of the day if necessary. An Emergency Action Plan is in place to notify guests of any closures and provide directions on actions to be taken to allow safe evacuation of the park. In the event the park is closed for the remainder of an event day, rain passes will be issued in the Wine Shop Formal Gardens for one hour following the call for evacuation of the park or until conditions become unsafe for event staff. Rain passes will NOT be issued after this time. Can I bring a picnic lunch to the event? No outside food, beverages or coolers are permitted to be brought onto the grounds of the Pennsylvania Renaissance Faire. However, exceptions are made for Guests with special dietary needs to include food allergies and baby food/formula. Guests with special dietary needs should print and complete the Visitor Allergen Card and present it at the Customer Service Window at the front gate when they arrive at the Faire for approval to bring in special dietary foods for the individual only. The Visitor Allergen Card will be put on file at the First Aid Station. The Faire does not have separate allergy-friendly kitchens and is unable to guarantee that a menu item is completely free of allergens. Our menu items are reliant on supplier ingredient labels, and we cannot guarantee the accuracy of the contents of each food item. Allergen advisory statements (e.g., “may contain") are not regulated. It is ultimately up to the individual’s discretion to make an informed choice based upon their individual dietary needs. Guests to the Faire may also have their hand stamped at the front gate to return to their vehicle and return to the Faire as they wish. Click here to download the Visitor Allergen Card. Can I get a souvenir event program? Programs are available at the event for free and contains a map of the grounds as well as great articles about the days' activities, performers and more. To receive a program in the mail, send $1.50 for postage and handling to: PRF Program, 2775 Lebanon Road, Manheim, PA 17545. What happens if my child is separated from my group? Lost children can be found at the First Aid building. You may also notify any Security personnel or Staff member with a two-way radio. There is a Security Officer posted at the Front Gate at all times. Please note that there is no PA system on the fairegrounds. What if I lose something? Lost items can be found with the Informistress located just inside the Front Gate during festival days. Items left behind or lost during Theater in the Mansion performances can be picked up at the Mount Hope Wine Shop. Contact them at (717) 665-7021, 129 with inquiries. Will the entertainment line-up change at all? All entertainment for our events is subject to change without notice. Shirts and shoes must be worn at all times. Dress comfortably and appropriately. Proper tasteful attire is requested, as we are a family-friendly facility. Can I bring period weapons as part of my costume? Please view our Faire Weapons Policy for details. Visa and MasterCard as well as cash are accepted for purchase of admission and in most shops. Food merchants do not generally accept credit cards. So as to respect all patrons, we ask that cell phone ringtones be muted or switched to the vibrate mode. We also ask that cell phone usage be limited. Our mission is "Building interactive, magical environments that create unique and entertaining experiences for every guest, every time." Our goal is to provide a place for our employees to work and visitors to play in an atmosphere of inclusion, respect and safety. Self-expression is welcome with the understanding that intimidation, threat or harm to another person will never be tolerated. We value and respect the differences in our ever-expanding audiences and will continue to welcome everyone to this place of imagination, creativity and fun. Where can I get tickets and how much are they? 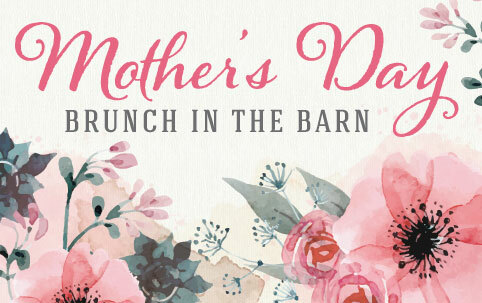 Prices vary for Admission Tickets to the different events at Mount Hope Estate & Winery. Tickets can be purchased the day of the event, unless otherwise indicated, at the Front Gate Castle Windows or discount tickets can be purchased and printed at home by using the Virtual Box Office. Will Call is not available for general admission events. NO REFUNDS OR EXCHANGES. Event tickets are non-refundable, non-exchangeable and not for resale. Once a ticket has been scanned at the Front Gate upon entry, it is voided and no longer holds any value. The Faire does not monitor any guests’ level of participation or length of stay. Refunds are not available to guests who choose to leave. The bearer of an event ticket agrees to hold blameless and harmless Mazza Vineyards, Inc. or any of its affiliates, in the event of personal injury or loss or damage to property. The holder of the ticket assumes all responsibilities for any risk of bodily harm or loss of property sustained while attending the event, and waives all rights to lay claim for damages resulting from any cause whatsoever either before, during or after the event. You must be 21 or older to purchase or consume Alcohol. Your ID will be verified before being served alcohol. Outside food, drink and pets are not permitted. You hereby consent to the reasonable search for alcoholic beverages, drugs, or firearms. You further consent to the use of your image or likeness incidental to any display, transmission, or reproduction of the event. Management reserves the right to refuse admission or eject any person whose conduct is deemed by management to be disorderly or who fails to comply with the terms and conditions of these conditions of ticket sale. What is the per ticket service fees? It has become necessary to include a per ticket service fee for our event tickets in order to defray the rising costs of taxes and credit card processing. The fee also offsets the costs of consumables, ticket handling, and support. Service Fees are set online - $1.25/ticket, on site or telephone transactions - $2.00/ticket, and Season Passes - $2.50/pass (online, phone or on site). Can I leave and return during a festival day? Re-entry is permitted at all outdoor events unless otherwise posted. If you wish to leave the Faire or any of our outdoor events and plan to return on the same day, you must get your hand stamped upon exiting. To re-enter, you must show your hand stamp—no exceptions. For those guests wishing to come back another day, some of our outdoor events have "Return Passes" available for sale at the Informistress booth. This "Return Pass" allows you to reenter any day—and at a discounted price! Re-entry is generally not permitted during Theater in the Mansion performances. Can I get a discount if I come in costume? We offer a $4.00 discount to adult patrons that visit the PA Renaissance Faire in period costumes. This discount is only for the Pennsylvania Renaissance Faire and is not valid during any other event. Please Note: Discounts cannot be combined and are not valid with any other offer. Special discounts are available at the Castle Gates only during the Pennsylvania Renaissance Faire! Please visit the Discount Information page for more details on specific specials. Is food or drink included in admission? Food and Drink is not included in the admission price unless otherwise indicated. There are many choices for both Food and Drink on the fairegrounds for all our outdoor events. The First Aid station is located near the backside of the festival grounds on Privy Lane. The station will be marked on the festival maps handed out at the gate. ATMs are available in the Mount Hope Wine Shop and in multiple locations throughout the Fairegrounds. The ATMs will be marked on the festival maps handed out at the gate. Do you have rides and are they included in admission? Rides or games during outdoor festivals are not included in the admission price. Prices for these activities range from $1.00 to $3.00. Where can I change and nurse my baby? Baby changing stations are located in the Privies (restrooms) located throughout the fairegrounds. The First Aid Station is also available for those needing privacy. Can I bring a stroller or do you rent them out? Strollers are encouraged for those families with small children. Stroller rentals are not available. Located at the Informistress booth near the Front Gate. Guest Relations is the location where you will find lost-and-found items during the event and information on future events. Comment cards and the registry for our Royal E-mail list are also located at the Informistress. Can I smoke at your events? For the well being of our guests, smoking is prohibited near stages and in audience areas. Your cooperation is appreciated for the comfort of all in attendance. Mount Hope Estate & Winery is dedicated to answering your questions about our festivals, events, products and more. Please choose the method of contact that best suits your needs—and we look forward to hearing from you! Please Note: Business Offices are open Monday through Friday, 9AM-4PM. Please Note: If you are interested in seeking a donation for your organization, please complete the Donation Request Form and PRF will make every effort to reply to all submissions in a timely manner. Requests made through the general contact form will not be accepted.